10-29-09 024, originally uploaded by bucklesw1. ben and family, originally uploaded by bucklesw1. Nobody here wants to call Ben's memorial a memorial and prefer "A Celebration of Life". John Herriott tells me that senior showfolks in Sarasota don't like to drive after dark so I decided that 4:00 PM on Nov. 14 should be about right, two weeks from today. This will be rather unique since it will blend right into the regular Saturday night crowd. A number of out of State people are coming in which caused me to ask Dalilah which account she was tapping, Big Apple or Universoul. Scan12335, originally uploaded by bucklesw1. Scan12336, originally uploaded by bucklesw1. Scan12343, originally uploaded by bucklesw1. Scan12340, originally uploaded by bucklesw1. Scan12338, originally uploaded by bucklesw1. Scan12341, originally uploaded by bucklesw1. Scan12339, originally uploaded by bucklesw1. Scan12337, originally uploaded by bucklesw1. Scan12342, originally uploaded by bucklesw1. Ila Mae "Ollie" Gauger age 92 of Oshkosh passed away peacefully on Saturday evening October 24, 2009 at Bethel Home. She was born in Oshkosh on July 1, 1917 the daughter of Louis and Emelia (Latterman) Cappert. She married Marvin E. Gauger on December 10, 1938. She was a faithful member of St. Jude's Catholic Church (Sacred Heart Site) in Oshkosh. Ollie is survived by one son Tom (special friend Deb) Gauger of Indiana, two daughters Susan Schedel and Sally (Bill) Cuttill both of Oshkosh. Six grandchildren, eighteen great grandchildren and two great-great grandchildren. Nieces, nephews, other relatives and friends. Ollie was preceded in death by her parents, husband Marvin, two brothers Robert and James and one granddaughter Michelle Cuttill. Memorial services will be held at the Fiss & Bills Funeral Home at 865 S. Westhaven Drive on Friday, October 30, 2009 at 11 a.m., Father William Van De Kreeke will officiate. Visitation will be held at the funeral home on Friday from 10 a.m. until the hour of service at 11 a.m. Private committal services will be held at Sacred Heart Catholic Cemetery. In Lieu of flowers a memorial fund will be established in Ollie's name. 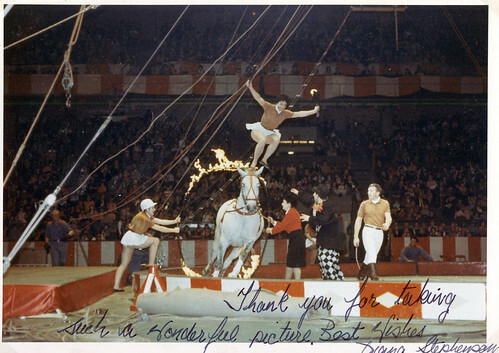 Ringling_1970_13, originally uploaded by bucklesw1. 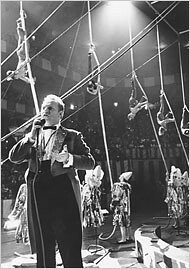 "As my first introduction to the circus I ran away from college for the summer of 1970 and toured with Ringling Blue/100th anniv. show, first working concessions, where we had to load rubber onto the wagons during tear down (ugh!) 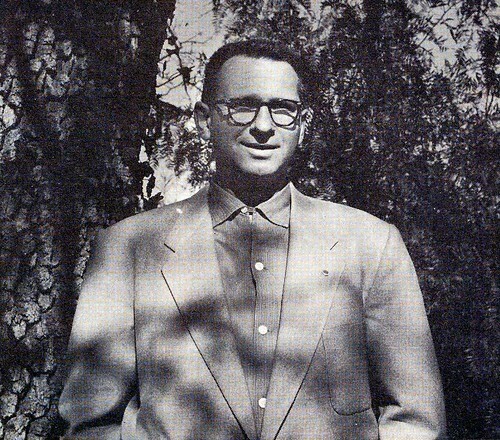 and later in men's wardrobe working for Joe Hodgini, Sr. Seems like a lifetime-plus ago!" 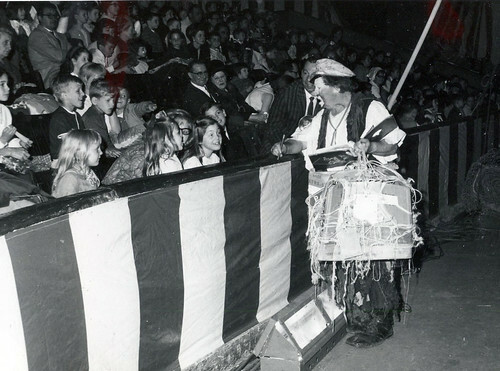 Ringling_1970_14, originally uploaded by bucklesw1. Capt. 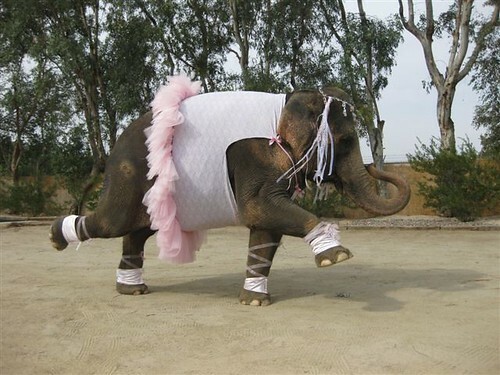 Hugo and the Elephant Fandango. DonFoote2, originally uploaded by bucklesw1. 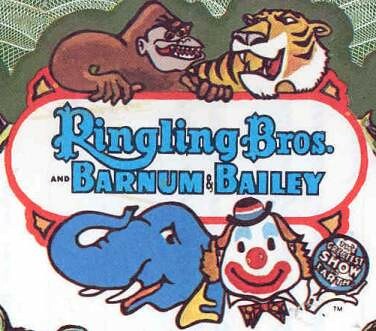 Ringling_Stephensons, originally uploaded by bucklesw1. Ringling_Otto, originally uploaded by bucklesw1. Otto Griebling, in his final years as one of the all time greats--famous on the 1970 show for his pie pan routine during come in. Ringling_RonkSlayton, originally uploaded by bucklesw1. 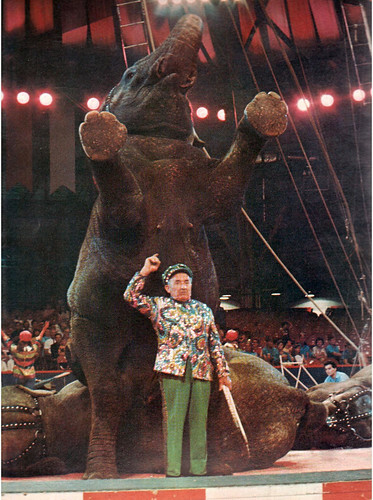 Ringling_1970_1, originally uploaded by bucklesw1. 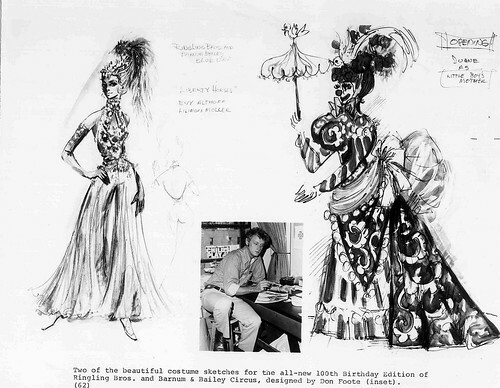 life size costumes at the start of the 1970 show's second half. Al Schwartz the timekeeper was the elephant. Ringling_routeBlue70, originally uploaded by bucklesw1. nakedclowns1009, originally uploaded by bucklesw1. !cid_X_MA1_1256736551@aol, originally uploaded by bucklesw1. 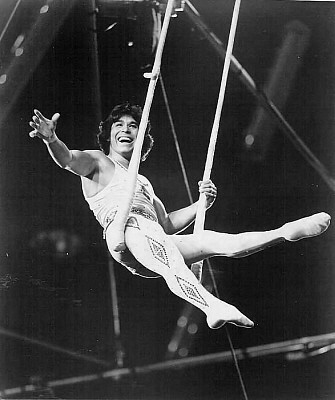 Sammy Haddock at Circus World. CHARLES & GENA, originally uploaded by bucklesw1. There is a memorial service at her house at 1 pm on Saturday, October 31st. been sick and died peacefully in her sleep. 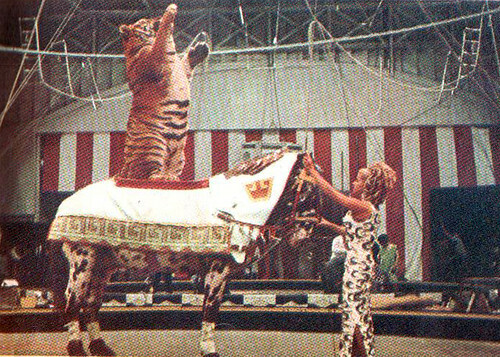 Ringling_1970, originally uploaded by bucklesw1. 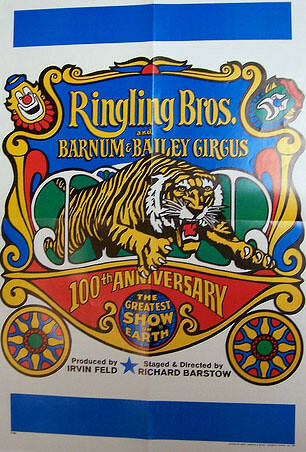 In just a few short weeks, we'll celebrate the 40th anniversary of the start of rehearsals in Venice for one of the all time great Ringling shows, the 100th anniversary edition which bowed in Jan., 1970, opened in Baltimore and played New York for approx. 7 weeks. 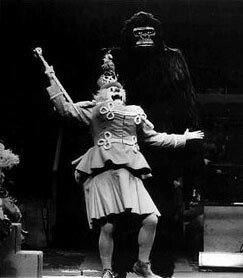 This was the first show solely produced I believe by Irvin and costumed by Don Foote--the beginning of Don's long run as circus costumer. Max Weldy made some contributions to the production but it was Don's designs from this point forward and Weldy soon disappeared.. The production numbers and music, scored for the first time by Bill Pruyn, were sensational. Harold Ronk was at his apex and Richard Barstow, who was also soon to retire, delivered a truly memorable show, one for the history books! The show also went to a new large format program for the first time. It was also a year or so away from Hugo Schmitt's retirement and Jack Joyce was the performance director with Charly Baumann assisting. 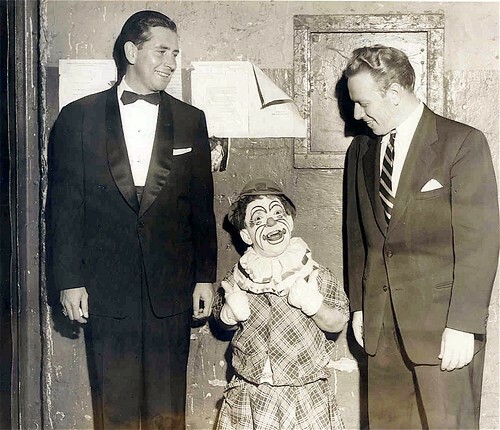 Lloyd Morgan Sr. and Jr. were with the show as managers as was Paul Hudson. Willis Lawson still had the concessions, at least for another season or two. 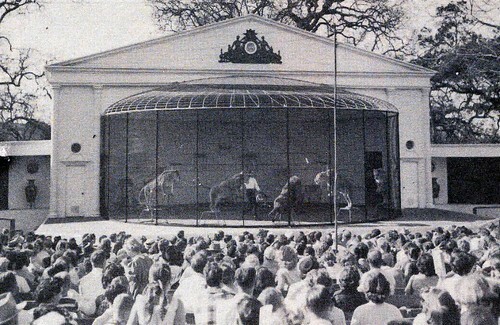 An unbelievable cast of talent populated the show from start to finish and Antoinette Concello was still heading up the aerial ballet and Bill Ballantine had come on to run Clown College, Ballantine also recruited a number of clown old timers to fill the ranks of two shows and among them was Swede Johnson, a former lion trainer. 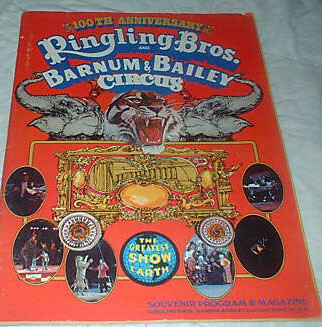 Ringling_1970_2, originally uploaded by bucklesw1. 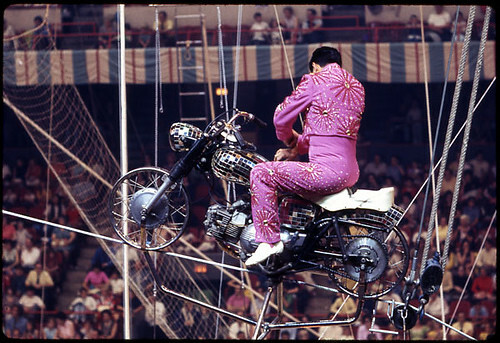 Jose Guzman on the inclined motorcycle at Boston Garden, May, 1970. 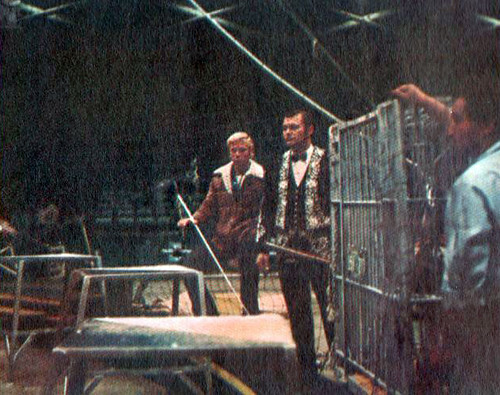 Ringling_1970_3, originally uploaded by bucklesw1. 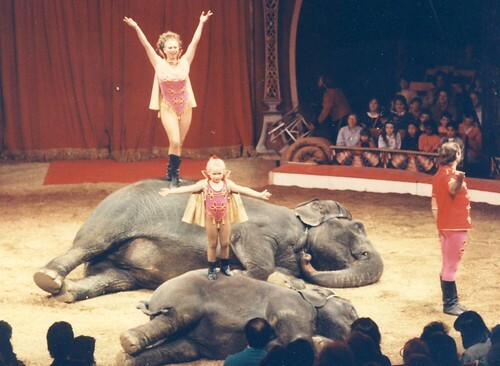 Ringling_1970_4, originally uploaded by bucklesw1. 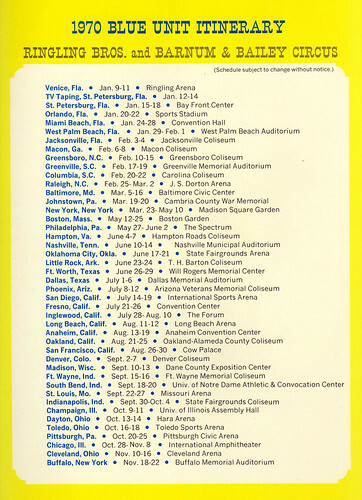 Ringling_1970_5, originally uploaded by bucklesw1. Window card for 100th anniversary. 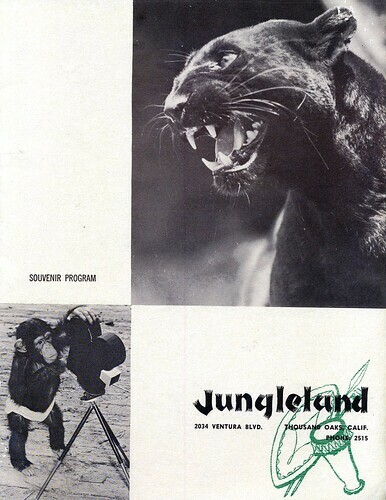 Ringling_1970_6, originally uploaded by bucklesw1. The one and only Tito. 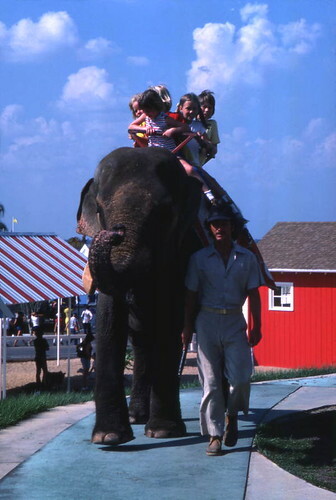 Ringling_1970_7, originally uploaded by bucklesw1. The sensational Elvin Bale, catching "only by his heels!" 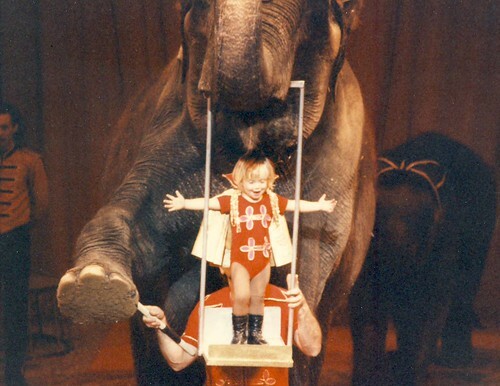 Ringling_1970_8, originally uploaded by bucklesw1. 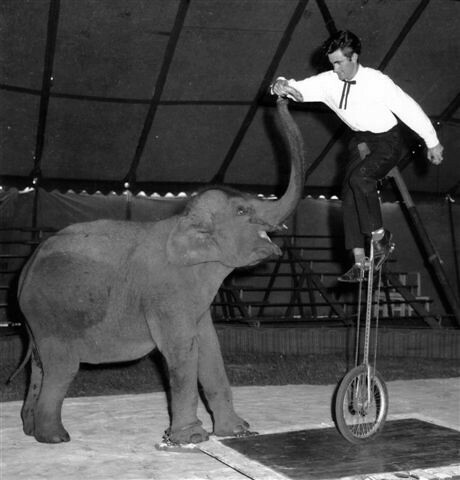 Duane Thorpe in the circus Spec, 100th anniversary party. 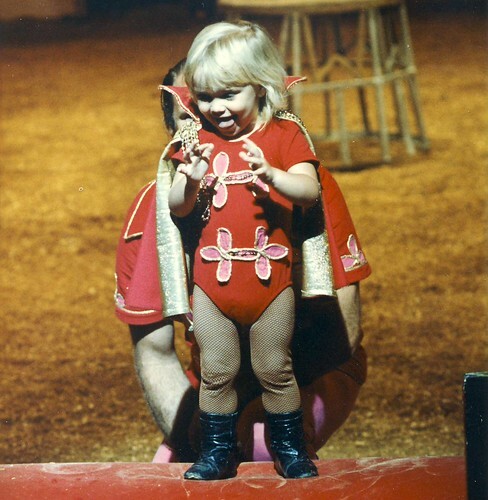 Ringling_1970_9, originally uploaded by bucklesw1. 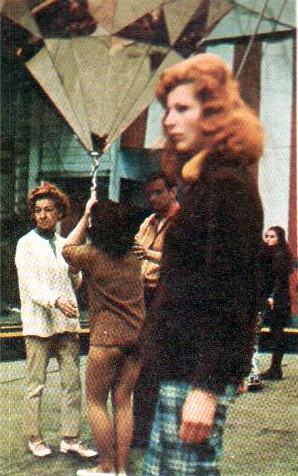 Antoinette rehearsing a spec number at Venice in which several girls twirl under giant mirrored diamonds. 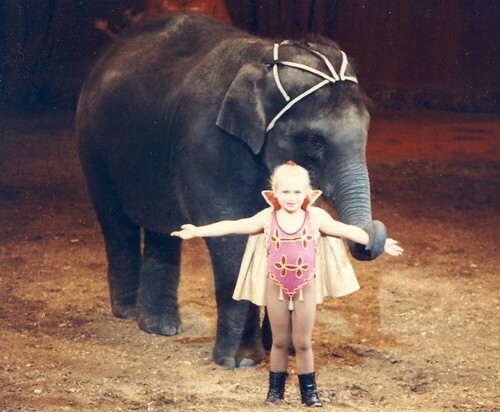 Ringling_1970_10, originally uploaded by bucklesw1. Evy Althoff rehearsing in Venice. 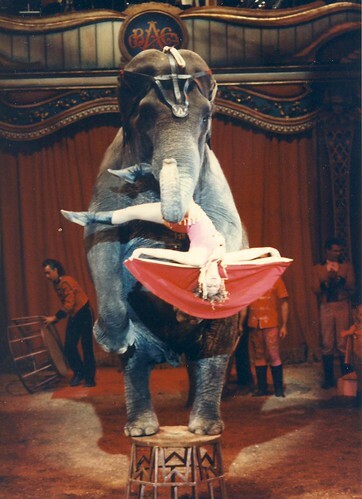 Ringling_1970_11, originally uploaded by bucklesw1. 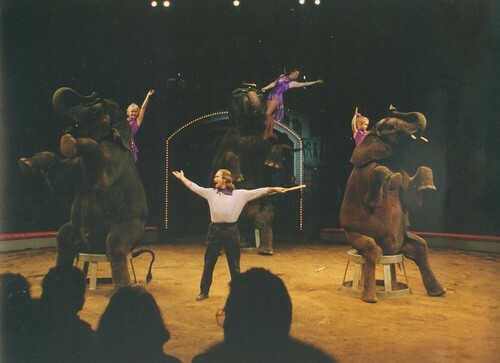 "Circus Movers & Shakers"--Elvin, Franz Althoff, Irvin Feld, Joe Guzman and Laly Zacchini. as the years wore on, Irvin's photo would be less formal. 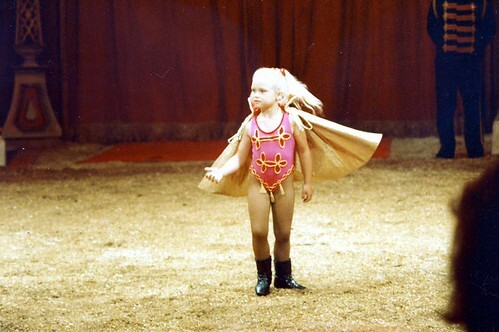 Ringling_1970_12, originally uploaded by bucklesw1. 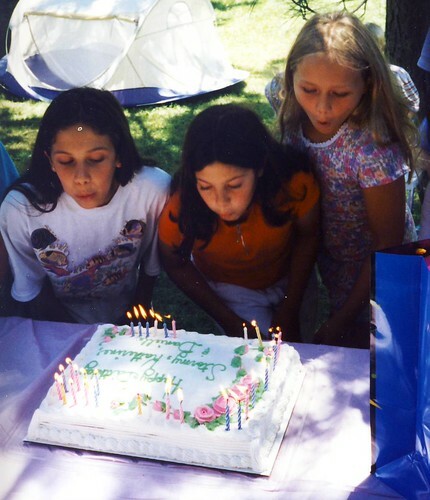 Circus spec, giant birthday cake. Italy Oct 25, 2009 003, originally uploaded by bucklesw1. Two photos of Gold Unit backyard last week in Milan. "Barbara!....Barbara!....After all the expense to send you half way around the world to document Rome's conquest by Nicole Feld, we get pictures of house trailers, gray water hoses and dog poop. We got that here already. We demand warm, fuzzy pictures such as a shot of yourself in the concession office, counting stacks of Lira!" Italy Oct 25, 2009 004, originally uploaded by bucklesw1. Hamid 1977, originally uploaded by bucklesw1. 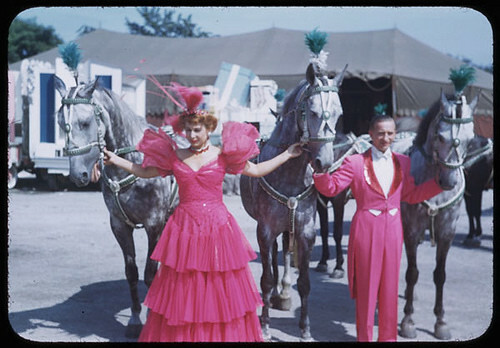 I inherited boxes of slides from a circus fan's collection in Ohio. 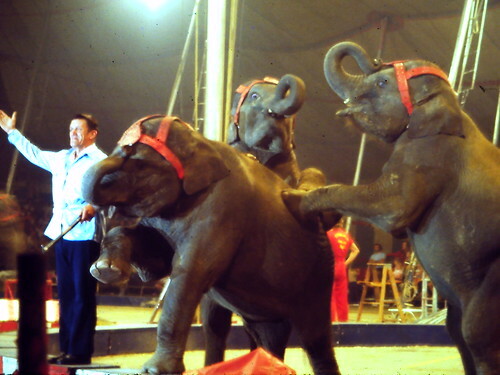 This one was labeled Hamid Circus 1977. Do you recognize the trainer? Is it Fred Logan? "That is indeed Freddy on Beatty- Cole with "Debbie", "Missy" and "Omii". 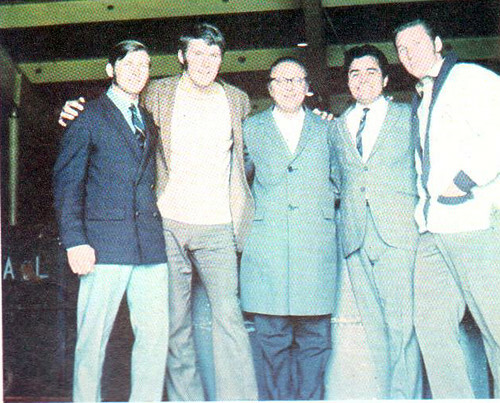 The year might be right since these punks were imported in 1974 but I don't see how Hamid would fit into the picture. Buckles36, originally uploaded by bucklesw1. 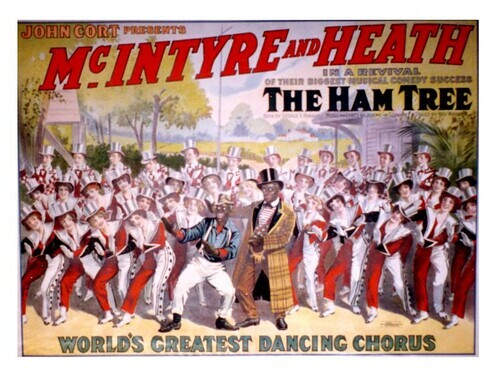 I wonder if there's some connection between Sidney Rink's Ham Tree Mule act and the McIntyre and Heath production of the same name? This 1913 Strobridge one-sheet of the revival of their "Biggest Musical Comedy Success" is a dandy, although my photography leaves a bit to be desired. 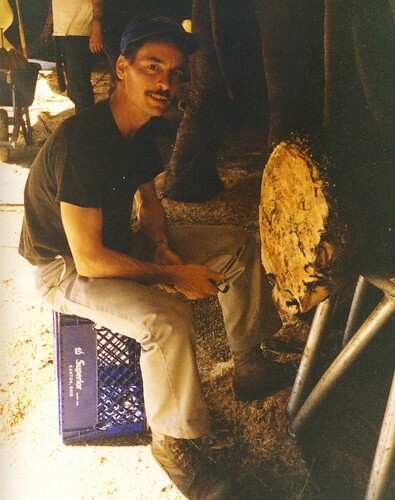 bambi the elephant & robert, originally uploaded by bucklesw1. Scan12333, originally uploaded by bucklesw1. Anyways she wanted us to let you know that Sam is in the hospital in Clermont with Cirrhosis of the Liver. His chances of survival are not very good. He is at South Lake Hospital in Clermont room 308. We just received this news this evening and really have no other details as of yet. Tom tried calling Sam Sunday and got not response so he assumed Sam had already left. Just wanted to let you know, Sam ( & Tom) always had so much respect and genuine admiration for you that I am sure it would mean a great deal to Sam to know you are aware of the situation. So very sorry for your recent loss, Ben will be greatly missed. A5 Fund Raiser leaflet:Layout 1, originally uploaded by bucklesw1. 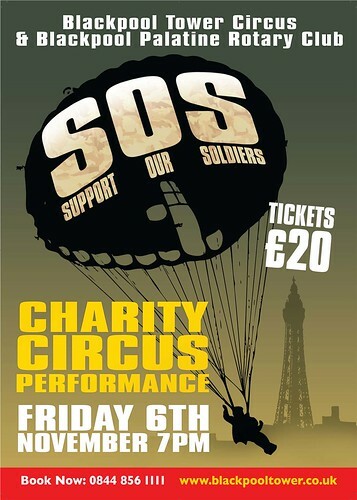 An interesting Fund raiser from the Blackpool Tower Circus in England. Once again, destructive legislation is proposed in Massachusetts, by Senator Hedlund. This bill repeats the ARs technique of the past several years. 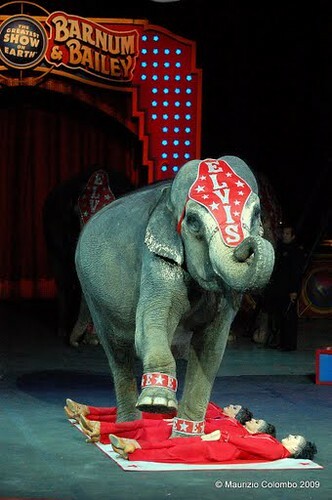 Unable to ban performing animals, they are once again trying to ban the tool and tethers - achieving the same goal. As in the past, our goal is to point out that the experts all have appropriate guidelines and policies with regard to the use of the tool, tethers, as well as veterinary and husbandry procedures. HOLD - Be alert - stay in touch. We anticipate: There will be an appropriate time for letters, emails, phone calls. You might begin to prepare YOURS! Have it ready for when we need it. When last the fans stepped up to the challenge in MASS. I was told by one state rep that more than 600 communications had been received...the majority in favor of performing animals! 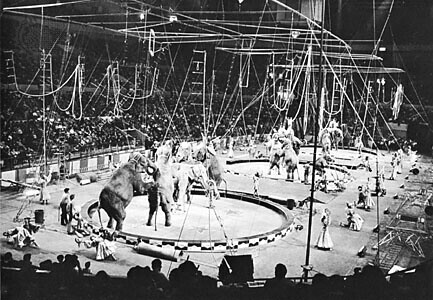 We do not yet have www.grassroots.circusfans.org up and running. It looks like it will be ready aprox. Thanksgiving. This latest development indicates more than ever, the need for this site. RBBB Milan 2009 - 1, originally uploaded by bucklesw1. 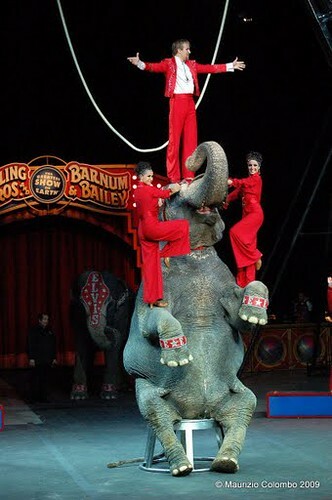 A few photos from a French circus site of the Ringling Gold show in Milan, Italy last week. 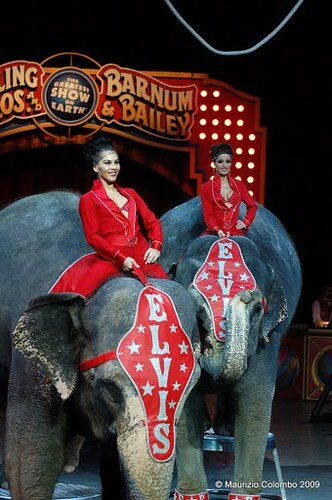 The elephants for the Italian dates were supplied by Elvis Errani. RBBB Milan 2009 - 2, originally uploaded by bucklesw1. RBBB Milan 2009 - 3, originally uploaded by bucklesw1. Just heard that Gena Moroski, widow of Charles Moroski, died on the 18th. Scan12321, originally uploaded by bucklesw1. Scan12323, originally uploaded by bucklesw1. 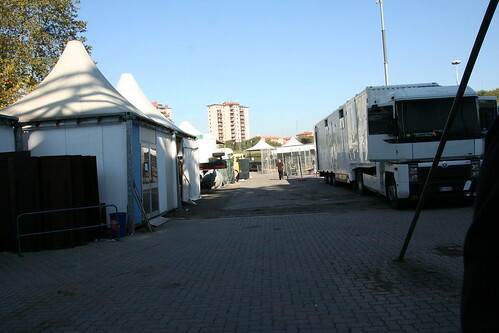 THE GREAT WHITE STAGE- Scene of the main events. Scan12324, originally uploaded by bucklesw1. 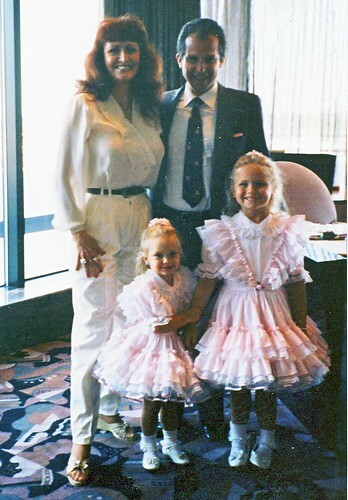 Scan12328, originally uploaded by bucklesw1. 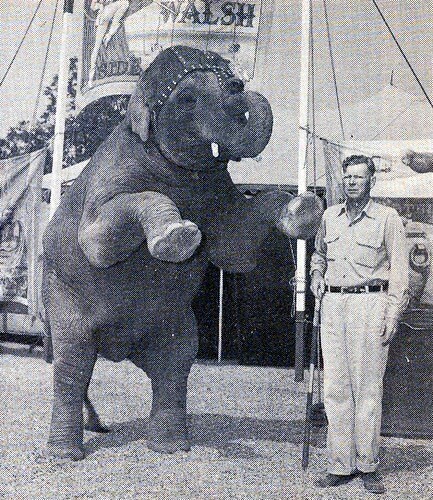 "Eugene Scott, internationally known elephant trainer poses with his latest charge, "BIMBO" the 3,000 pound elephant featured in Screen Gems "CIRCUS BOY" Teleseries." Scan12327, originally uploaded by bucklesw1. 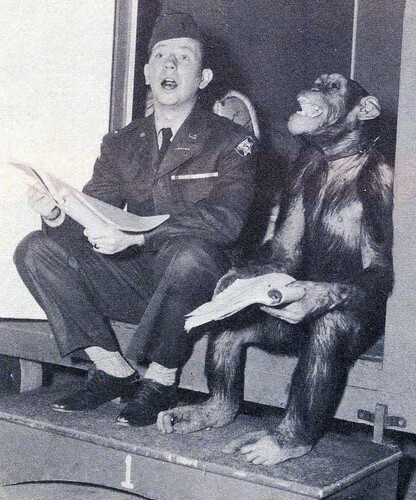 "DONALD O'CONNOR and "BONZO" rehearse their next scene in "FRANCIS JOINS THE WACS" at Universal Studio." Scan12331, originally uploaded by bucklesw1. 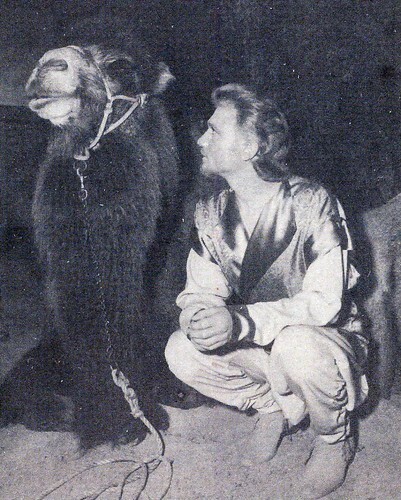 "Laurence Harvey is pictured with "HUMPHREY" on the desert location while filming the Warner Bros. CinemaScope production "THE TALISMAN."